Winter camping always sounds like so much fun. After all, who wouldn’t want to wake up to fresh powder all around you, warm up next to a crackling campfire, and bask in the quiet solitude of a snow-covered forest? Unfortunately, the realities tend to be more complicated. 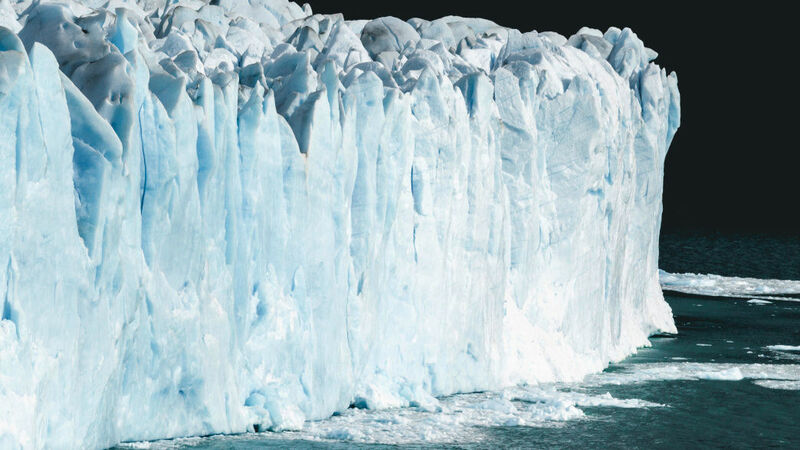 If you’re not careful, you may find yourself contending with everything from annoyances to real risks, including treacherous roads, collapsing tents, and hypothermia or frostbite. That said, a little preparation can go a long way. 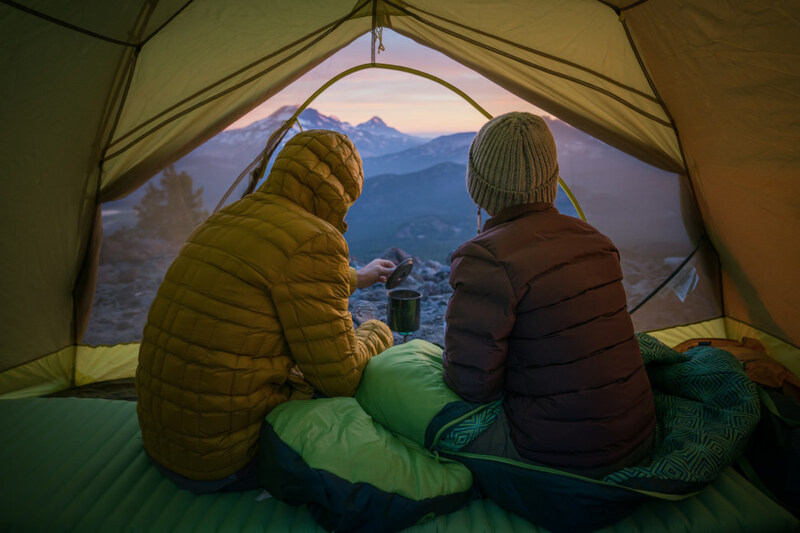 Whether you and your friends are planning your next big adventure, looking for the perfect campsite, or wanting to stay warm and cozy inside your tents, here are 13 tips to help you have a perfect winter camping experience. It takes a bit of preparation, gear, and thoughtfulness to have a successful winter camping trip. Keep these tips in mind before heading out. 1.Use a four-season tent. Usually geared specifically toward winter campers, four-season tents are built with heavier materials to keep the interior warm, durable enough to withstand heavy winds, and feature specific shapes to prevent snow from piling up. 2. Pack more than you need. 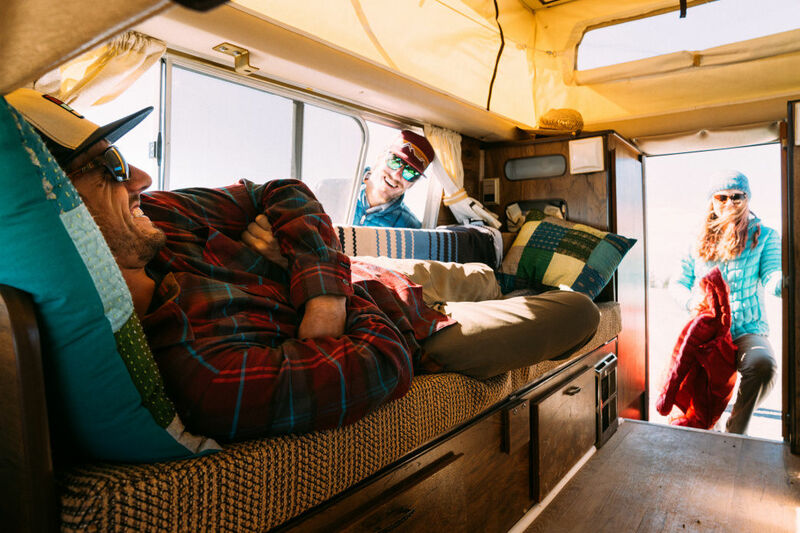 Really, there’s no downside to having an extra sweater or pair of socks—especially if you’re car camping and have plenty of space. You’ll be glad to have additional apparel in case temperatures drop lower than anticipated—or if your everyday gear gets (and stays) damp. 3. Do your homework before gassing up. Know all the relevant road conditions and closures, weather forecasts, and avalanche conditions if necessary—and plan accordingly. Your fellow campers will never fault you for being over-prepared. Once you’ve arrived at the campsite, how can you stay safe, dry, and warm? Make the most of your time in a Winter Wonderland with these suggestions. 5. Find the right site. If you aren’t pitching your tent in a campground with designated campsites, take stock of your surroundings and ask yourself: Will you be protected from the wind? Are you in harm’s way if an avalanche strikes, a branch snaps off, or a tree falls over? How easy can you find the campsite if it snows while you’re away? Will patches of soft snow be too unstable to support a tent? 6. Set down a tarp or ground cloth below your tent. Doing so prevents moisture from leaking into (or out of) the tent. 7. Ditch the alkaline batteries. 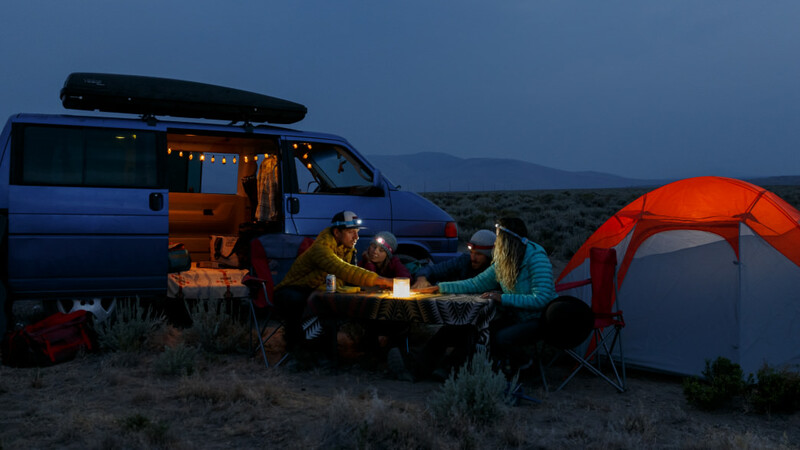 Whether powering a portable stereo or keeping your headlamp bright, batteries are a camper’s best friend. That said, the water-based solution in alkaline batteries means they lose functionality in freezing temperatures, so switch to lithium batteries. Lithium resists cold temperatures and stays strong in just about any conditions, so your electronics will power on when you need them the most. 8. Stay hydrated. Snowshoeing and skiing take a lot out of you, so be sure to drink plenty of water. 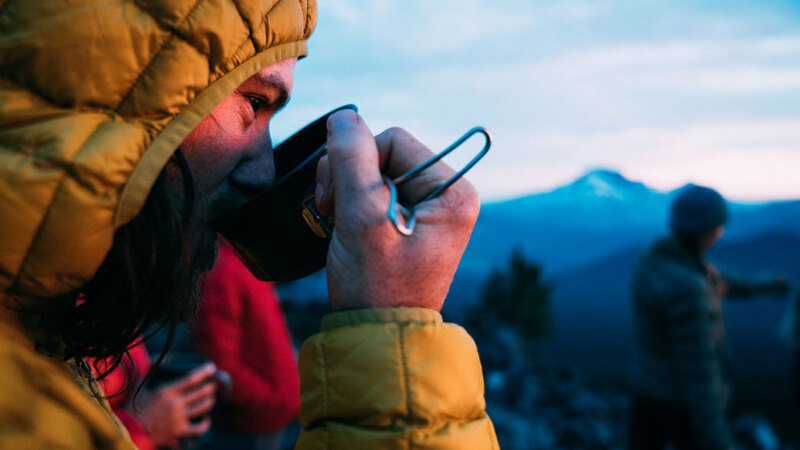 When you’re around the campsite, it’s better to boil snow than relying on water filters that can crack or slow down in freezing weather. 9. Learn to love layers. Whether you’re warming up around the campfire or working up a sweat on the slopes, you’ll want to dress for the weather. The first layer of underwear and a T-shirt should be made from moisture-wicking fabrics that stop sweat and snow from accumulating on and near your skin. The second layer (pants, long-sleeved shirts, etc.) is all about insulation and staying warm and the third layer (such as a jacket) should be breathable and waterproof or at least water-resistant. 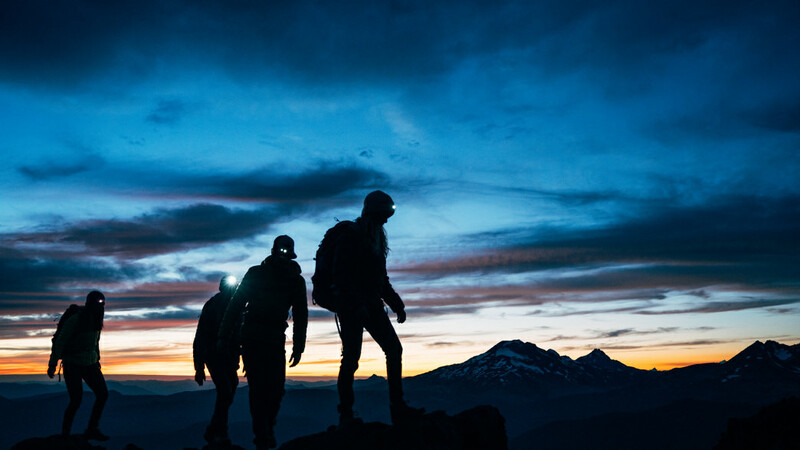 When it comes to clothes, we’re particularly partial to the Featherless line of jackets, hoodies, and vests from Marmot. 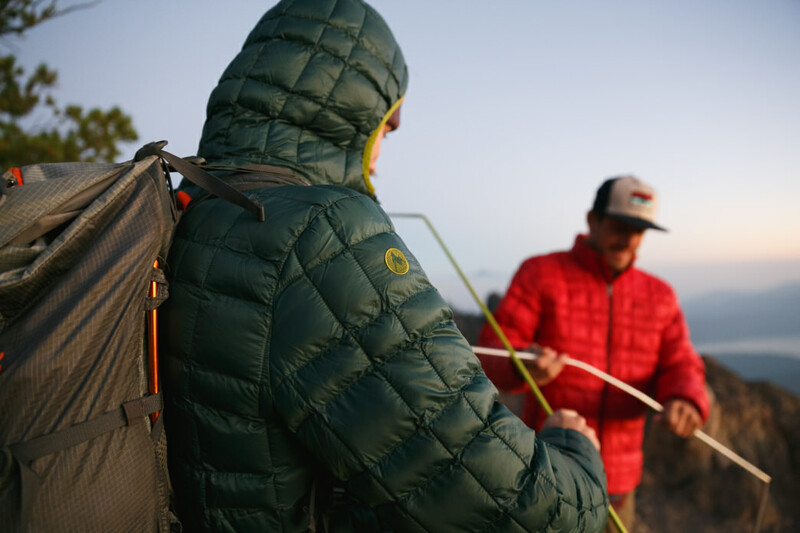 The innovative line uses synthetic materials, water-resistant fibers, and a breathable fabric to keep you warm, dry, and comfortable in just about *any *condition. It doesn’t take much for your winter camping trip to be plagued with frostbite, hypothermia, and other calamities. Stay warm and safe while snug in your sleeping bag with these tips. 10. Open the ventilation windows after waking up. All the condensation that your body and breathing caused overnight needs to escape somehow. Without proper ventilation, it may refreeze inside the tent. 11. Sleep comfortably. Bring an air mattress, sleeping pad, foam pad, or yoga mat to slide under your sleeping bag. You won’t just feel better in the morning - you’ll stay warmer if you can stay off of the cold ground. 12. Stay warm with a clever heating hack. Stay toasty in your sleeping back by popping a hot water bottle in the bottom of your bag near your feet. Given that it’s so close to your body and tucked inside a heat-trapping sleeping bag, the water may keep you warm for hours. 13. Keep your boots dry. There’s no faster way to ruin a camping trip than frozen boots, so sleep with the removable liners near your feet to keep them warm throughout the night. If your boots don’t come with removable liners, place them in the car or a waterproof sack to keep them from icing over as the temperature falls. It might take a little more work to prepare for a winter camping trip, but if you follow these expert tips, you’ll find there’s really #NoBadWeather.